Jobs at HealthCare Global Enterprises Ltd - Jobs Vibhaga - Dedicated job portal for unemployed job seekers. Healthcare Global Enterprises Ltd (HCG), India’s largest provider of cancer care is at the forefront of the battle against cancer. 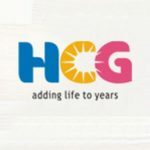 Through its network of 18 comprehensive cancer centers spread across India, HCG has brought advanced cancer care to the doorstep of millions of people.